I’ve been waiting for this mod for a long time. I love the idea of squonk mods but I don’t like the idea of mech mods. This is a personal thing, so don’t be put of mech mods on account of me. I just prefer a layer of protection on my mods. And with mechs, you just don’t get this. This is why I am now super excited about the slew of regulated squonk mods hitting the market right now. 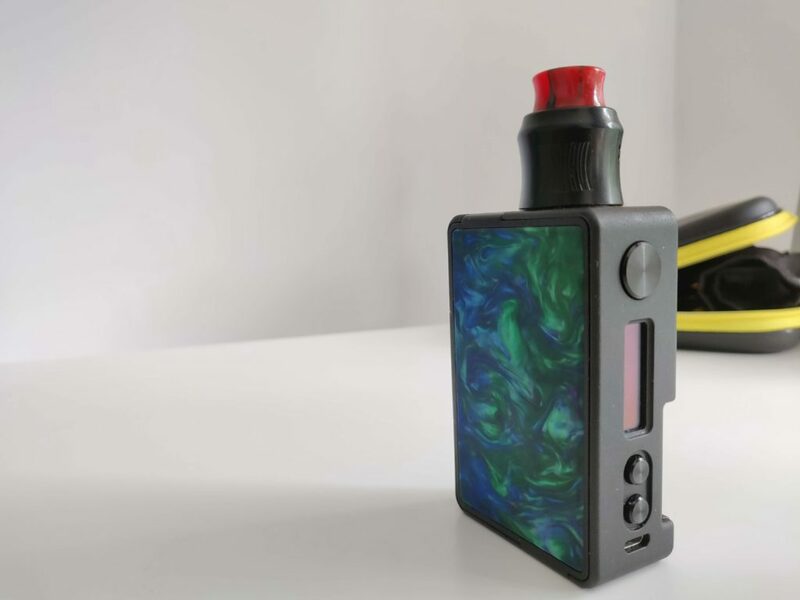 Vandy Vape’s Pulse mod was (and still is) one of the most popular squonk setups on the planet. But now there’s a new version, a regulated 80W version that can even do Temp Control vaping. I’ve just spent a few weeks playing around with it. 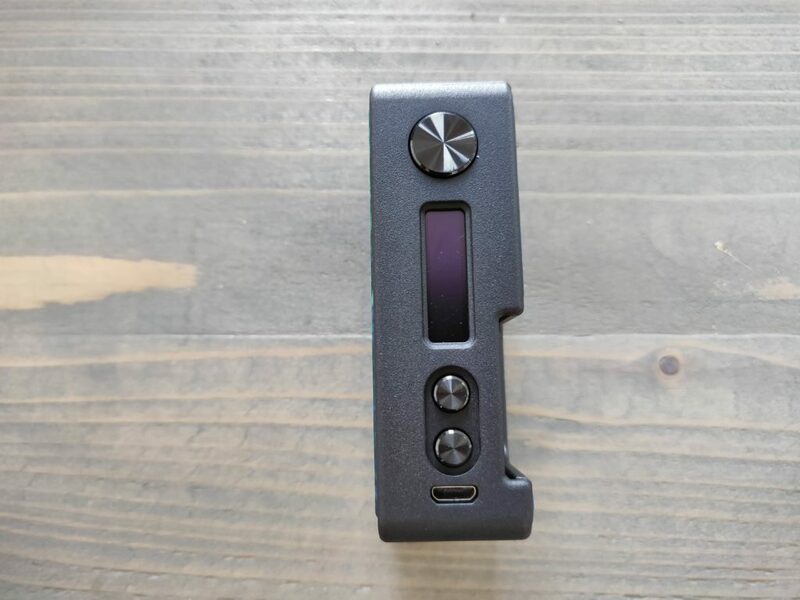 What follows is my honest opinion on this hugely anticipated squonk mod. I LOVE the design of the original Pulse mod. And this one is more or less the same, so it’s all good from a visual standpoint. The mod is super lightweight, it literally weighs nothing in the hand, and you can swap out the door for with all kinds of customization options. The squonk bottle inside is an 8ML setup, so perfectly reasonable, and the mod will run either a 18650 cell (with a converter, which is included) or a 20700 cell. The buttons are nice and clicky, it squonks beautifully, and I really dig the OLED display too, which is nice and bright and detailed. 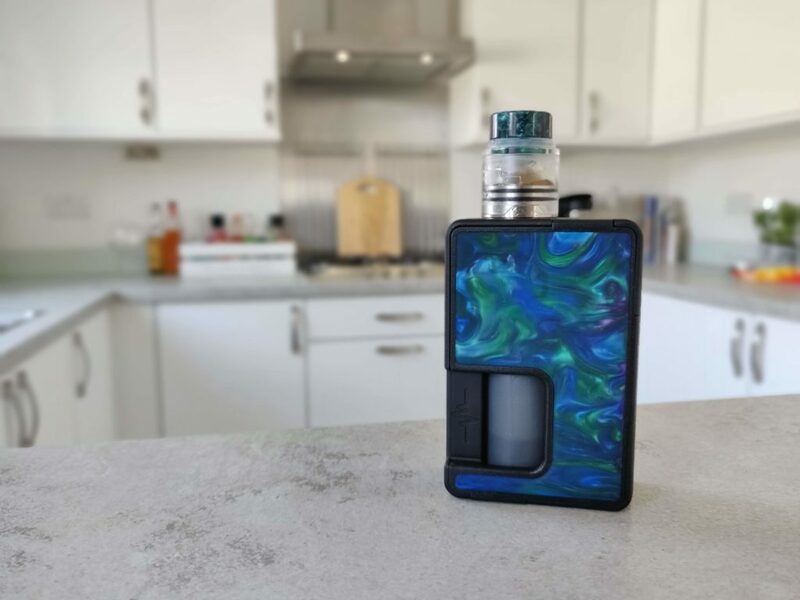 The original of this mod was hugely popular, and this was for two main reasons: 1) it looked great and performed great, and 2) it was priced super reasonably. Tony B hasn’t messed with a winning formula in this regard, and that’s cool; he’s simply added in some more features, courtesy of the Vandy Chip (it was originally meant to run the GENE chip, but that’s another story entirely). 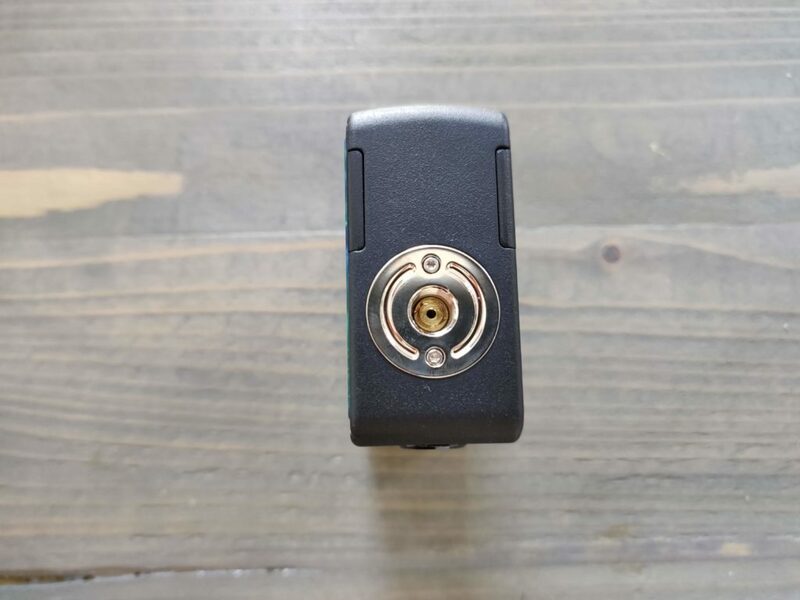 You now have TC modes at your disposal, as well as 100% regulated power delivery, so you don’t need a science degree to set up and run this mod with a decent RDA (or RSA). And this for me is what makes the Vandy Vape Pulse 80W so special; it’s a squonk mod but it runs just like a standard vape mod. 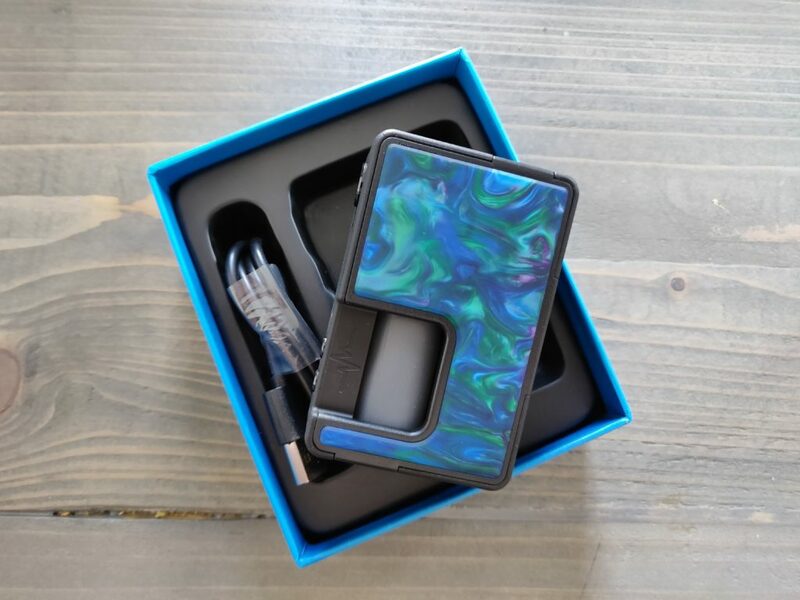 And this will open up squonking to an entirely new demographic of users which is pretty cool. The physical look and feel of the Pulse 80W is more or less flawless. I like the way it looks, feels, and how it all comes together and apart. Zero complaints in this department. You have plenty of stuff to get your teeth stuck into, including temp control vaping and a maximum of 80W in power mode. For me, I’m mostly a power mode kinda guy, even more so when you’re talking about RDA tanks, so I didn’t really test out the TC aspect of the Pulse 80W that much. It worked. It ramped up fine. Is it as good as DNA mod? Probably not. But it’s there if you want to use it – though I still find the idea of temp control and RDAs utterly bonkers! But each to their own and all that! Performance is decent enough. It fires perfectly and hits nicely, no complaints in this regard. There are things that don’t quite jazz with me about this mod – things like the bottle placement, the magnet resting on the battery, etc. During my time with the Pulse 80W mod, I haven’t experienced anything that’d make me think twice about buying this mod. The performance is solid enough (especially with a single coil RDA like the Recurve). You 100% DO NOT want to run this thing with a dual-coil RDA. Why? Because they require WAY too much power, and with just one cell – even a 20700 – you’re looking at less than six hours. Tops. Run it as it is intended (a single coil RDA), at a low(ish) output (anywhere between 40-50W), and you’re looking at OK battery life. Nothing special. Just OK. If you’re anything like me, chances are you’ll keep ramping up the power to get a more intense hit. But doing this will KILL your battery life, so it’s always advisable to have a spare fit you’re out and about. When it comes to single battery mods, you’re ALWAYS going to be running out of power. This is just the way it is with single cell mods – even if you run them with single coil RDAs. The ONLY way a single cell mod makes sense is if you’re running a Kayfun tank (single coil, MTL), as these tend to function in and around 10-18W, optimally. When you’re talking about RDAs, however, it’s a different story entirely. Even with a single coil RDA like the Wotofo Recurve RDA, you have to run it at a minimum of 40W to get any sort of performance. If you don’t mind carrying spare cells with you, this isn’t a problem. But if you’re not the type to do that, you’re going to be better off with a dual-18650 mod like the Ohm Boy Rage mod. With moderate to heavy vaping, you’ll have to change the cells at least once during a day. That’s not great for me (and it’s also why I always keep a Kayfun V5 in circulation, as they can run for days on a single cell). 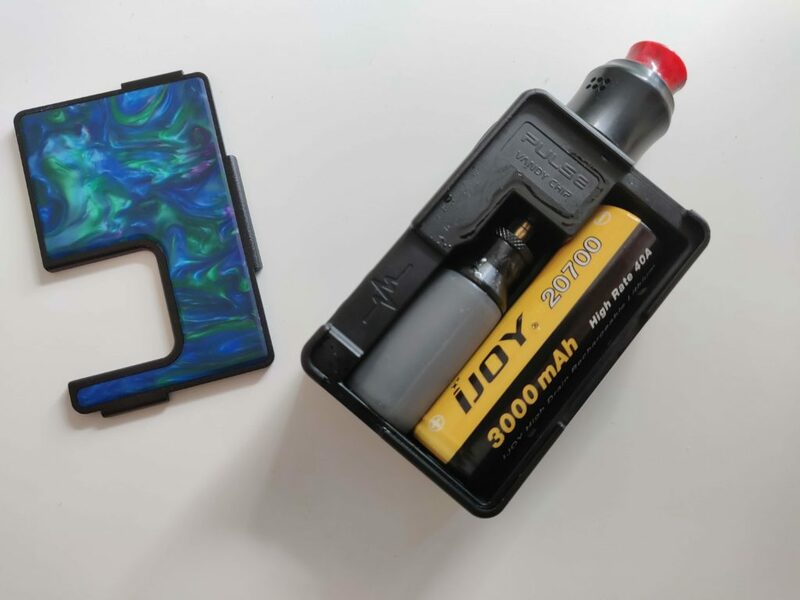 Bottomline: if battery life is important to you, you will 100% be better off with a dual-18650 mod like the Ohm Boy RAGE Squonk mod ($79.99). Yes, it’s more expensive. But it is a brilliant setup (I’m testing it right now), and the battery life is amazing. And for me, this makes it worth its weight in gold, as it too is also 100% regulated with TC modes. This is a tough one to call. On the one hand, I do really like the Vandy Vape Pulse 80W. I dig the way it looks and I really enjoy using it. It’s also super-simple to set up and live with. AND it has support for TC vaping and is also 100% regulated, meaning anyone can use it – not just those that understand coil-building and ohm’s law. However, battery life is a massive negative for me. In fact, it is the biggest negative of all when it comes to single cell mods, as you’re always going to be left wanting. If you want a cheap, single cell mod that’s nice looking and performs great, I have no qualms recommending the Pulse 80W (providing you understand that the battery life ain’t great). 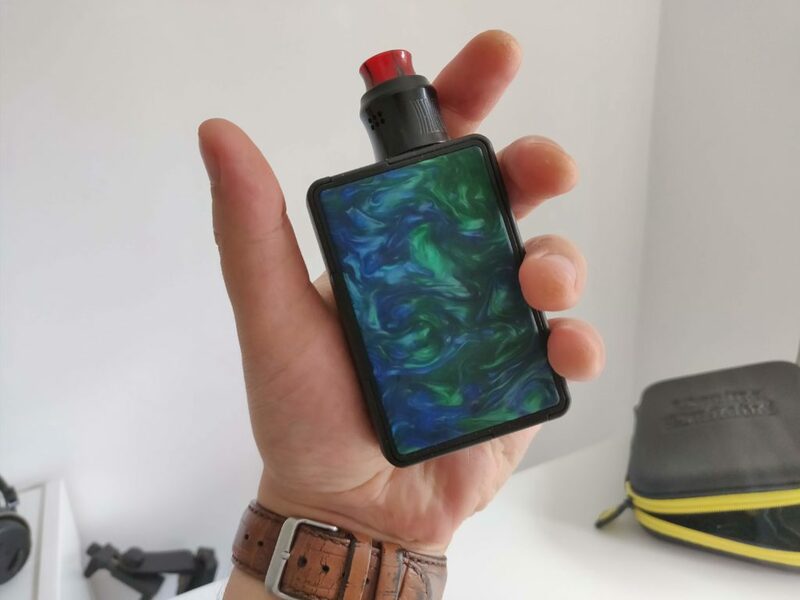 If you want a similar setup (meaning, 100% regulated + temp control vaping + other vaping modes) you should definitely go for the Ohm Boy RAGE squonk mod ($79.99). It runs dual-18650 batteries, so it’ll last all day. Plus, you can run dual-coil RDAs on it as well. And it squonks. And it’s got TC. And it’s regulated. For me, the RAGE squonk mod is the one to beat in 2018.